Three very interesting buses : from France, Germany and USA/Canada. 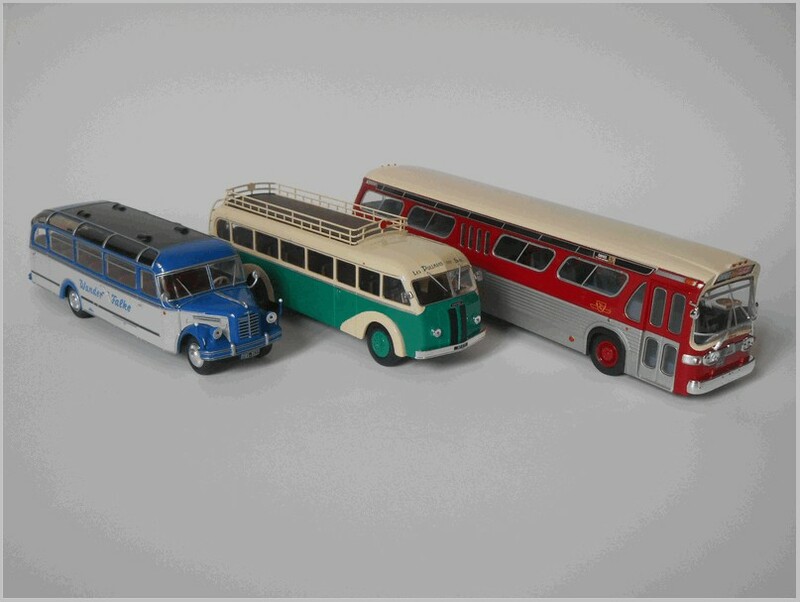 All of them are from the Italian Hachette partwork “Autobus dal mondo”, a collection of sixty 1:43 bus models, very similar to the French one “Autobus et autocars du monde”, produced in Bangladesh for Ixo. No. 58 (no. 50 in the French collection) Panhard Movic IE24 1948 – At last a vehicle from the oldest vehicle manufacturer: first to produce petrol engines (1887) under a license from Daimler, Panhard et Levassor sold their first automobile in 1890. 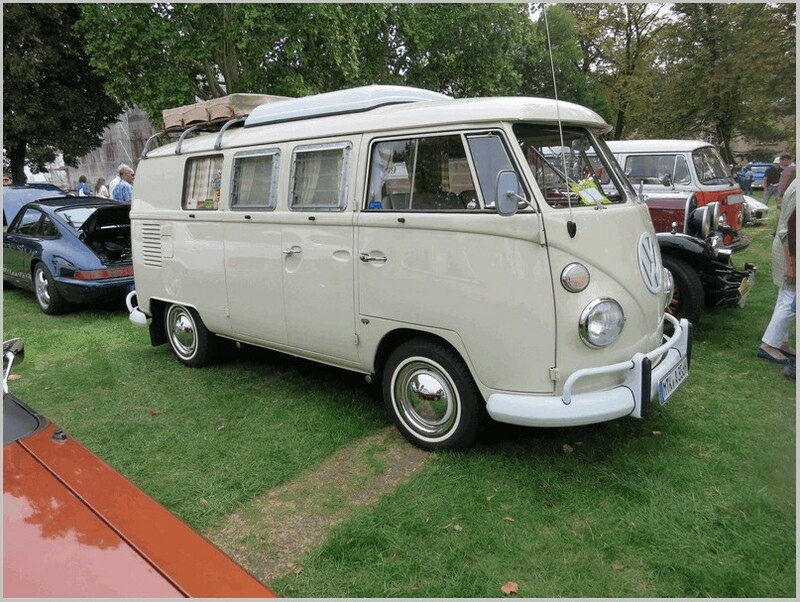 Their first vehicles set many modern standards, it had four wheels, a clutch pedal to operate a chain-driven gearbox, a front-mounted engine and radiator, the first modern transmission and the steering wheel. This “state of the art” layout was called the “Système Panhard”. Before the Great War Panhard et Levassor was already one of the largest and most profitable manufacturers of automobiles. Between 1910 and 1924 Panhard et Levassor offered plenty of models with conventional valve engines, alongside cars powered by sleeve valve power units, a technology patented by the American Charles Yale Knight, and from 1924 till 1940 all Panhard cars used steel sleeve valve engines only. After the Second World War the company was renamed Panhard (without “Levassor”), and produced light cars making the bodies and several other components out of aluminium, mainly because of postwar government steel rationing. A false evaluation of production costs using that material pushed the firm close to bankruptcy, forcing a hurried return to steel. The last Panhard passenger car was built in 1967, after assembling 2CV panel vans and selling ownership progressively to Citroën. 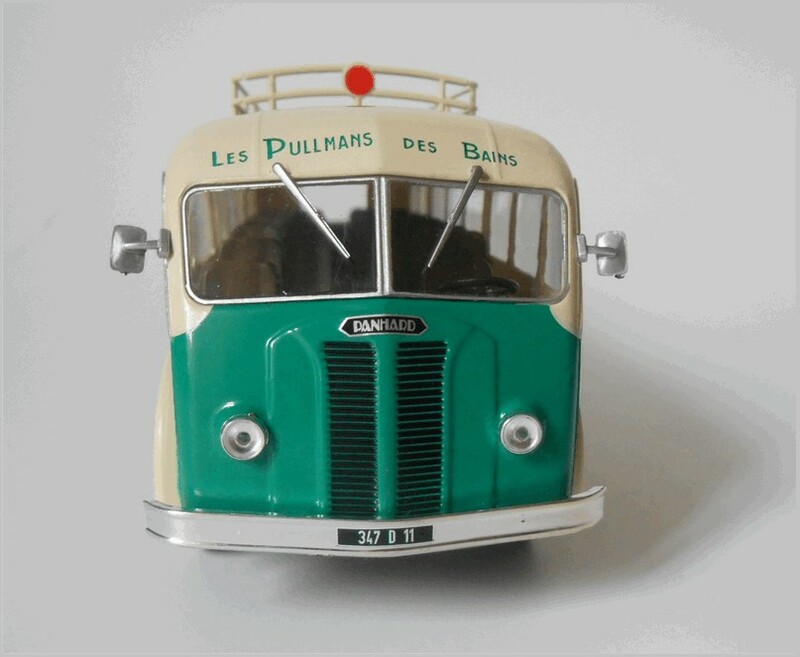 From 1968 Panhard only made armoured vehicles, and were then absorbed by Auverland and from 2012 by Renault Trucks Defense, a division of Swedish Volvo Group. Panhard built trucks from the 1910s, and during the Second World War made technical investigations for a new diesel engine, using the Lanova type of cylinder head in order to achieve an higher efficiency and a reduced noise. These engines were named 2HL, 4HL and 6HL according to the number of cylinders and where HL stood for “huile lourd” (heavy oil or diesel fuel). 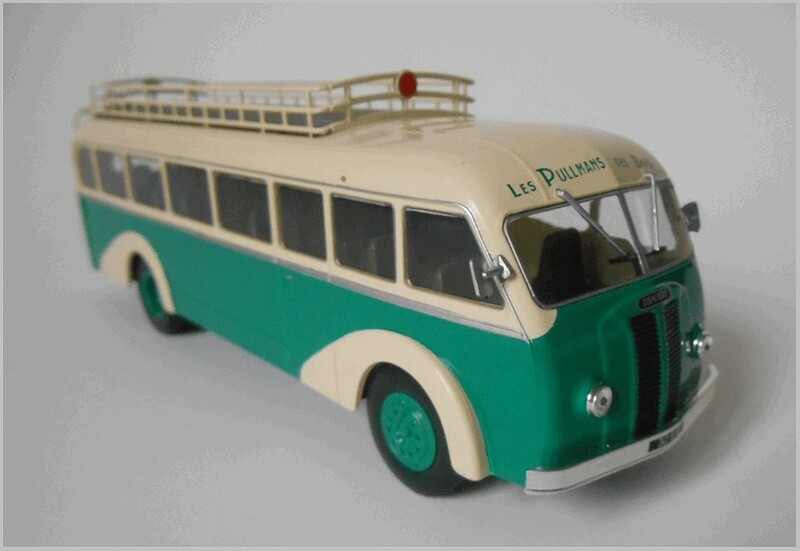 After the Second World War as part of the “Plan Pons” Panhard was grouped into the U.F.A (Union Française Automobile) together with Somua and Willème and entrusted with the manufacture of medium tonnage heavy goods vehicles. In 1952 Panhard presented a vehicle with a seven tons of payload called Movic, a vehicle particularly well adapted to the reconstruction needs of the time, powered by either a 85 or 100 hp diesel engine, or a 90 or 110 hp petrol engine. Like many other firms Panhard used a five letter system to designate the vehicle class in order to facilitate orders (hence the Movic name), and a combination of letters and numbers to identify the chassis type (like IE24). The Panhard Movic IE24 used a 5 meters wheelbase and was able to transport fifty passengers, powered by the 4HL engine, with bodies by Currus or Besset. 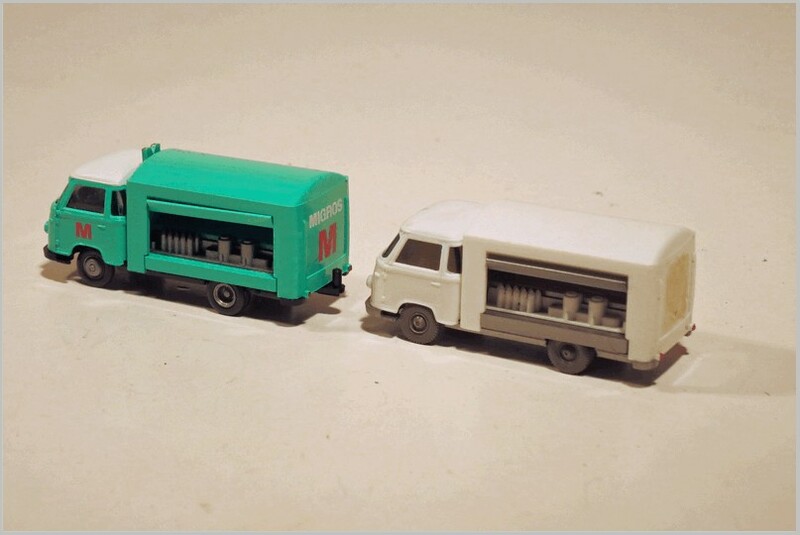 But production was always very limited and 1962 saw the end of any production of civilian trucks and buses. 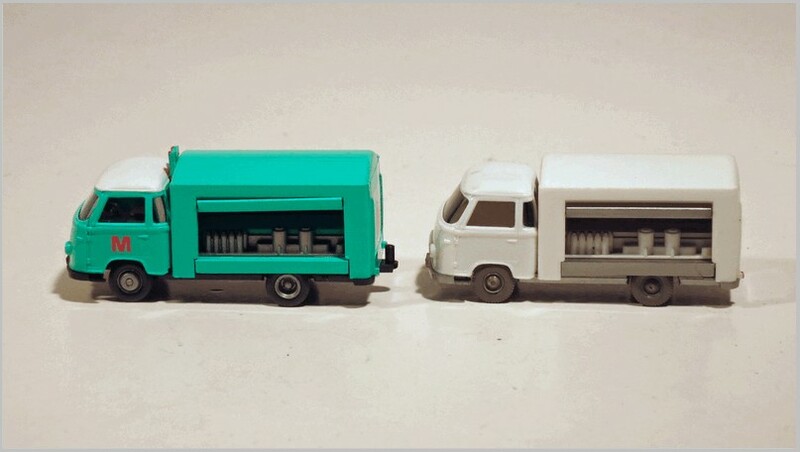 The model is shaped accurately and the cream and green livery appears authentic and neatly printed. 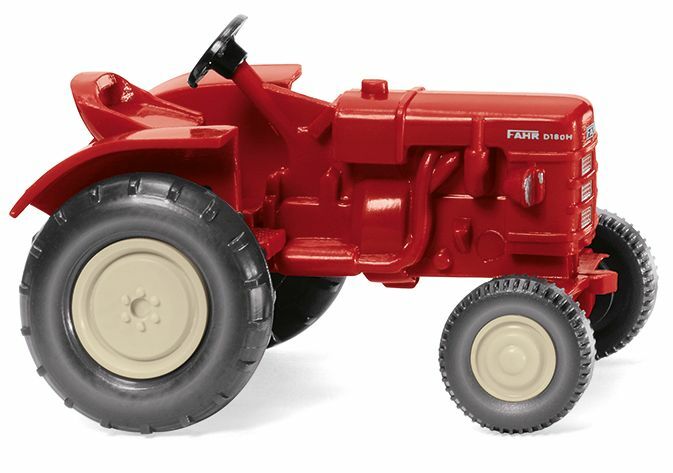 As usual there is a plastic body and a metal chassis with basic detail. 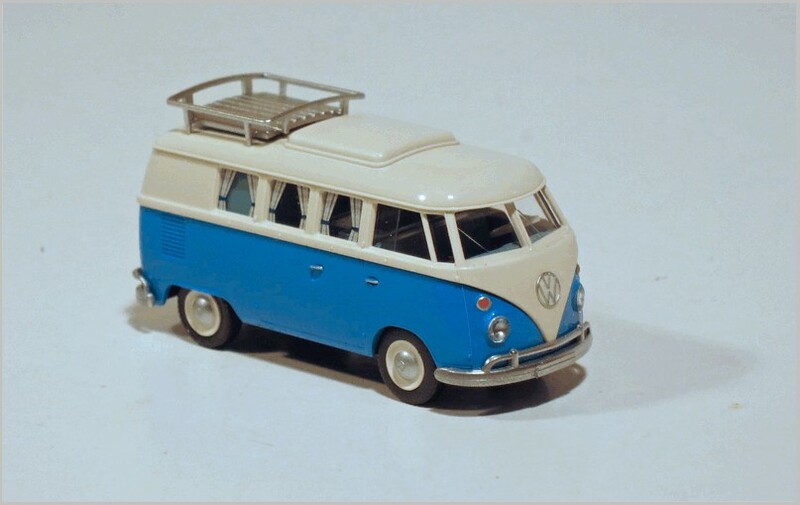 A basic interior is fitted,and there are many small separately inserted parts, like wipers, mirrors, lights and chromed bumpers. The red spot indicates that it is a regular line service. It sports the insignia of a transport firm from Mouthoumet, a small village in the Aude department, Occitaine region, in the south of France, and it is fitted with an accurate French registration plate, from the Aude department (11) prefecture of Carcassonne. 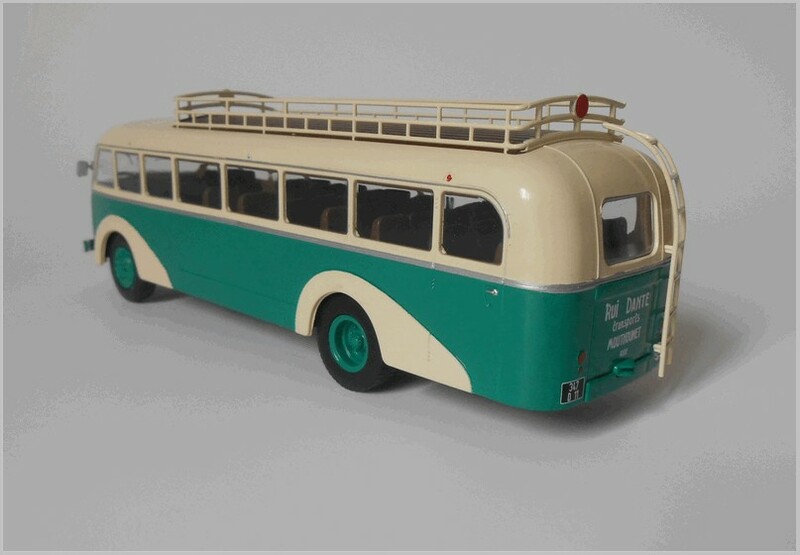 There is a very nice baggage rack on the roof, and a well modelled large rear ladder. There are no apparent differences to the French edition. 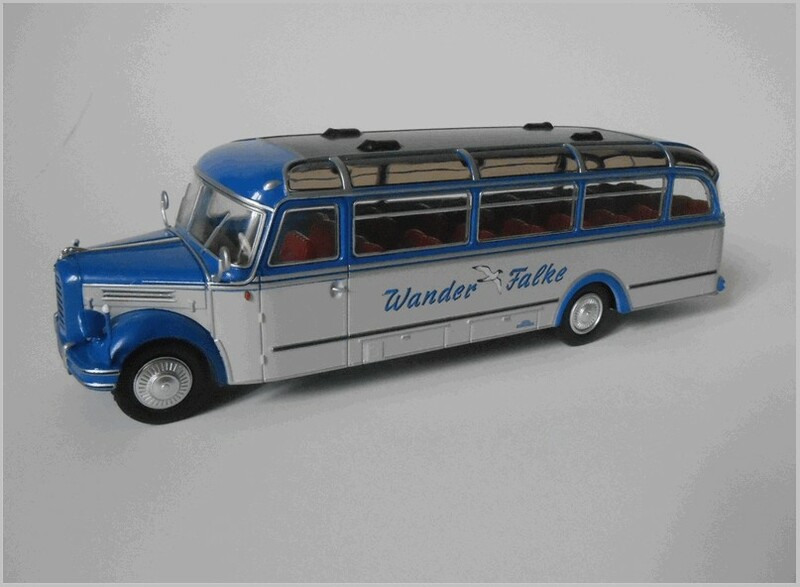 A nice model of a simple tourist bus typical of the 1950s. No. 59 (no. 48 in the French collection) General Motors “New Look” TDH-5301 1959 – We have already seen the GM history and its TDH-3610 (see part 10, no. 29) and its PD-3751 (see part 14, no. 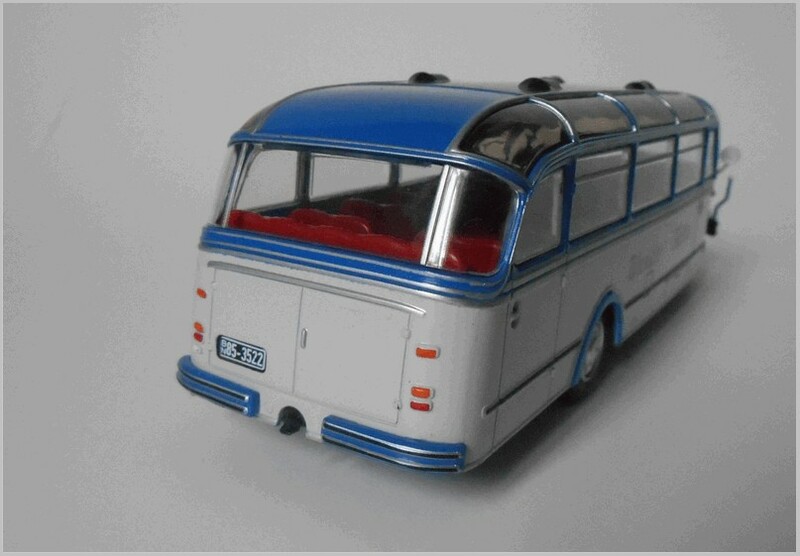 41), Scenicruiser (see part 2, no. 4) and type 6000 School Bus (see part 3, no. 7), and how the more usual GMC badges did not appear until 1968, replacing GM, GM Coach and Yellow Coach badges previously used. 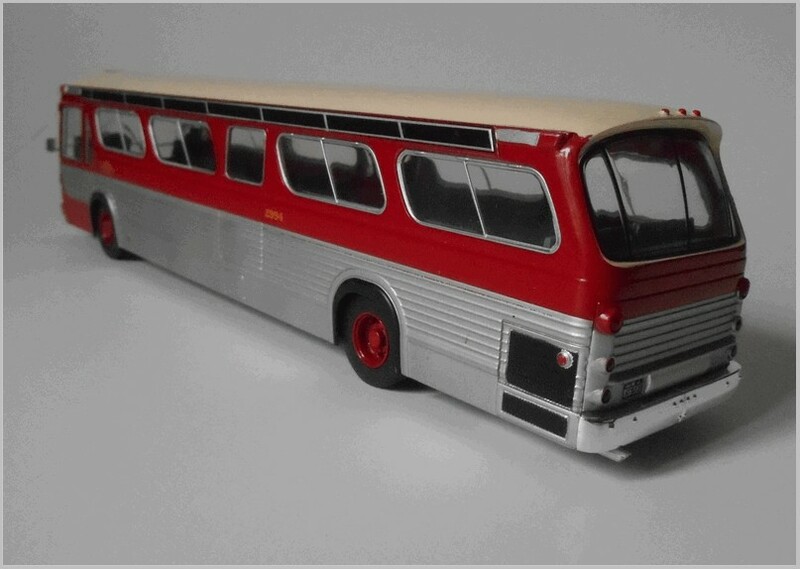 The GM New Look bus (an official term used by GM), was introduced in 1959 to replace the previous transit buses, like the TDH-3610, and was available in both Transit and Suburban versions (less than 3,300 made). More than 44,000 units were produced by 1986 (from 1978 production in Canada only) and it soon becoming an iconic North American sight, and gaining the “fishbowl” nickname after its six-piece rounded windscreen. The air-sprung self-supporting monocoque structure with aluminium frame and riveted body panels was powered by a rear transverse engine, a two-stroke V6 diesel by Detroit-Diesel, 238 cv, usually with an angle-drive single ratio automatic transmission. Its whole design, an airplane-like stressed-skin construction, was patented by GM (U.S. Patent D182,998), to avoid any unwarranted competition. 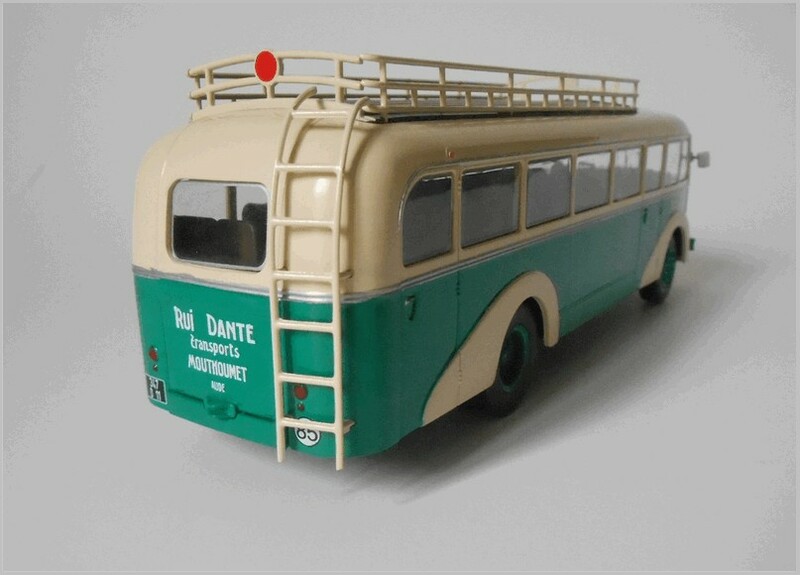 As usual its denomination (TDH-5301) was a full technical description : T for transit bus, D for diesel, H for hydraulic transmission, 53 for the number of seats and 01 for the series. The first city to take delivery of the New Look was Washington D.C.. The New Look was particularly appreciated in Canada, with a local production of more than 11,000 units, while its heir, the RTS (Rapid Transit Bus), was almost rejected in Canada, pushing GM to resume production of an updated New Look (the Classic) from 1982. 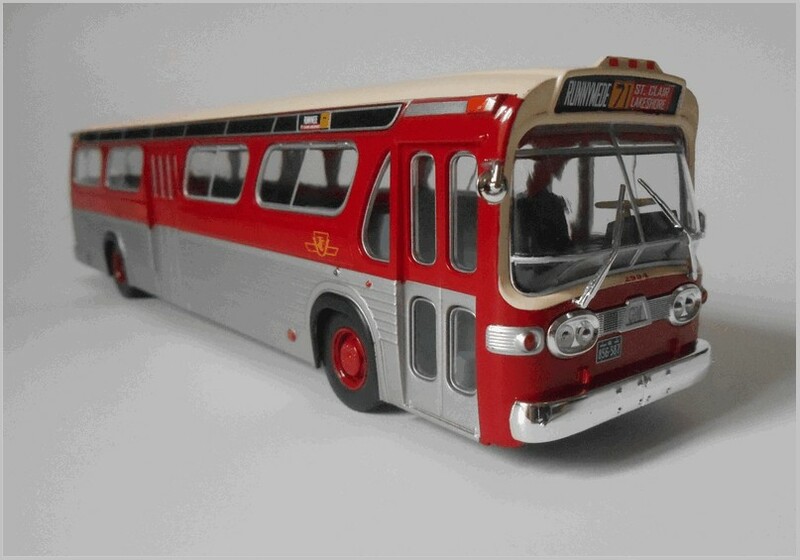 The scale model is based on one of the Canadian buses, with the red/silver and ivory livery typical of the Toronto Transit Commission. 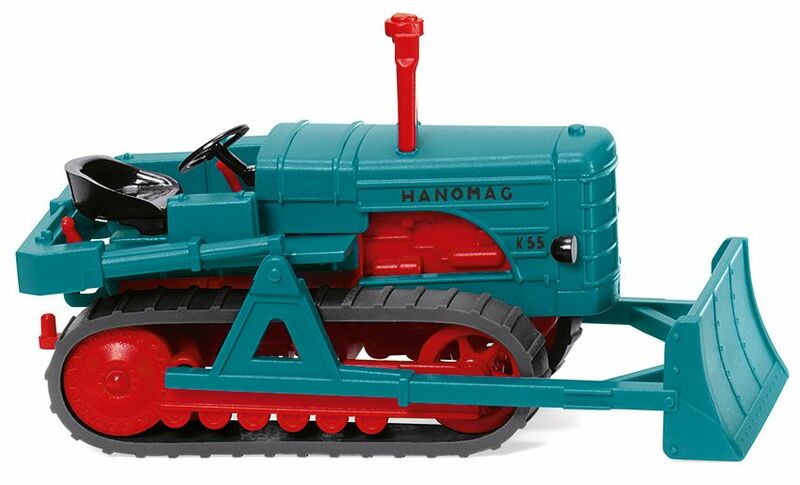 It has a plastic body and metal baseplate which is detailed and has an added silver exhaust. 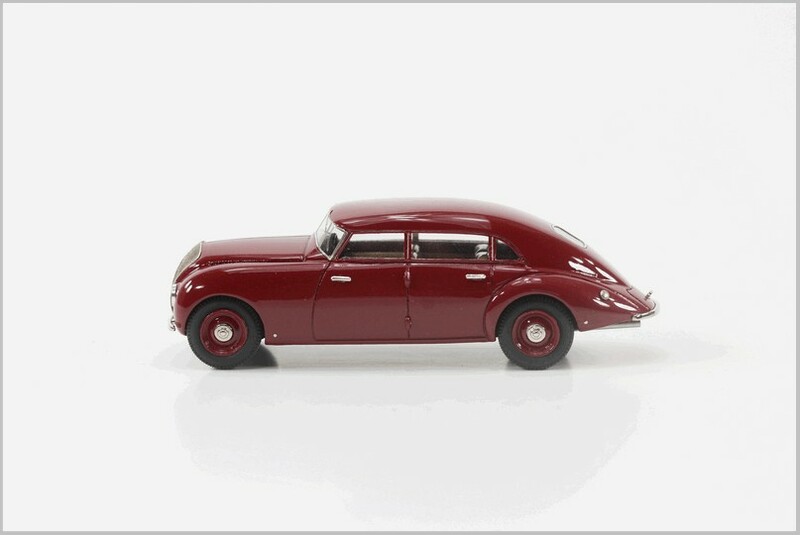 This is a very large model in 1:43 scale and is fitted with a correct interior and a nice driver area. 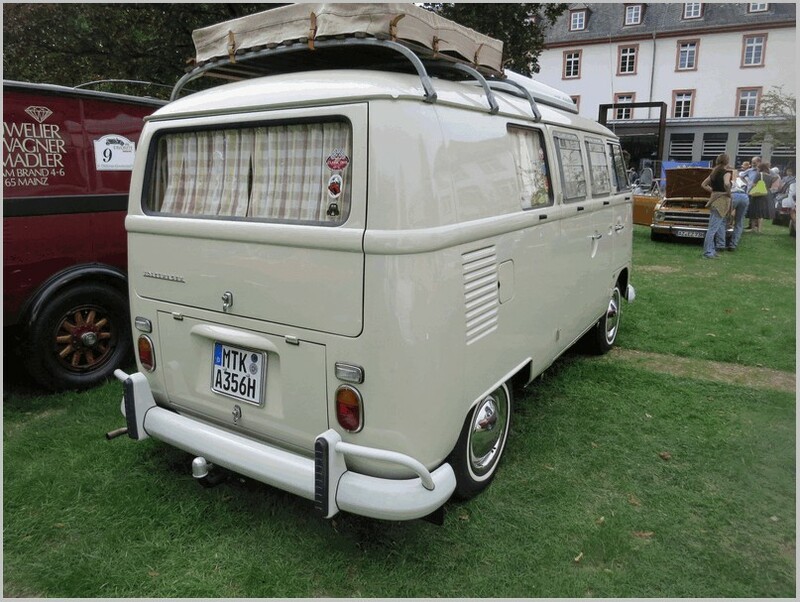 Very well reproduced side windows with silver frames are included. The usual added plastic parts can be found: lights, wipers, mirrors, bumpers. There are nice wheels with the correct twin rear ones. 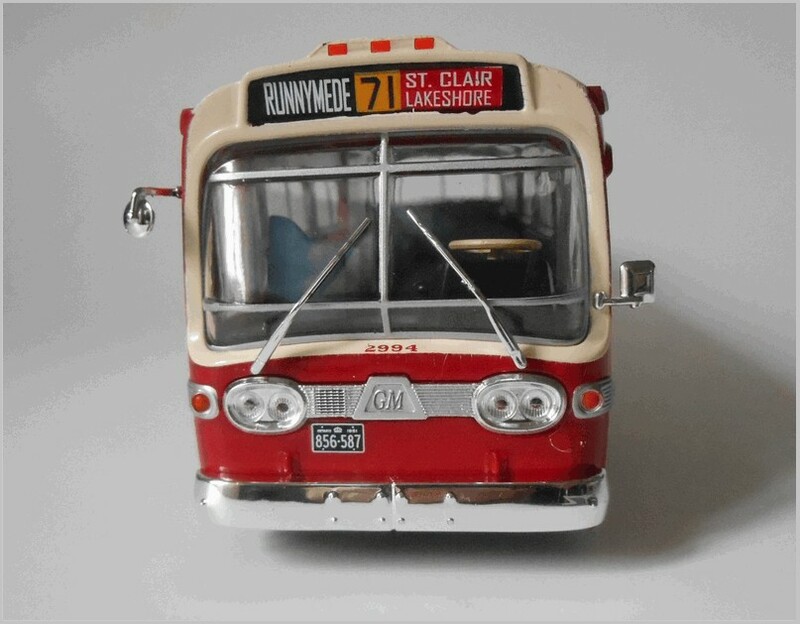 The line number is 71, from St. Clair Avenue to Runnymede station (Runnymede is a residential neighbourhood on the western side of Toronto’s downtown core, not far from the shore of lake Ontario). The registration plate is a correct one for Ontario from 1961 (white on black). Again there are no apparent differences to the French edition. 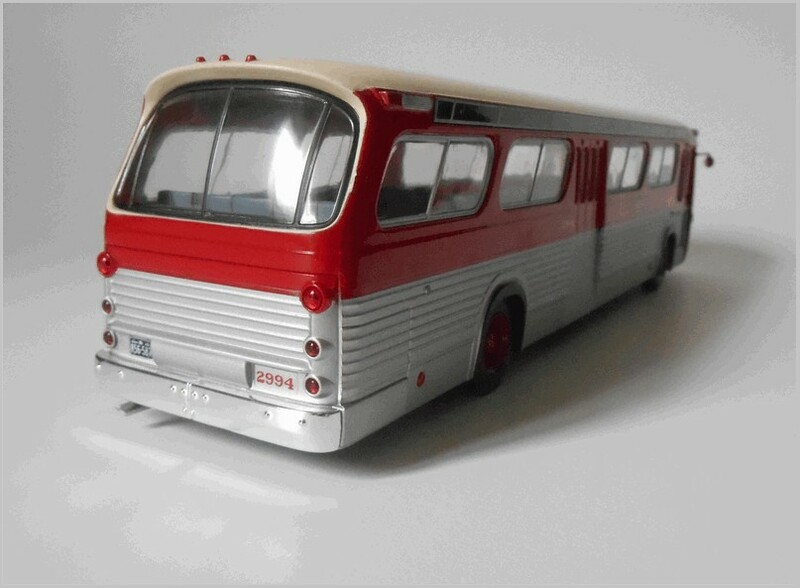 A nice reproduction of a much loved Canadian bus. No. 60 (no. 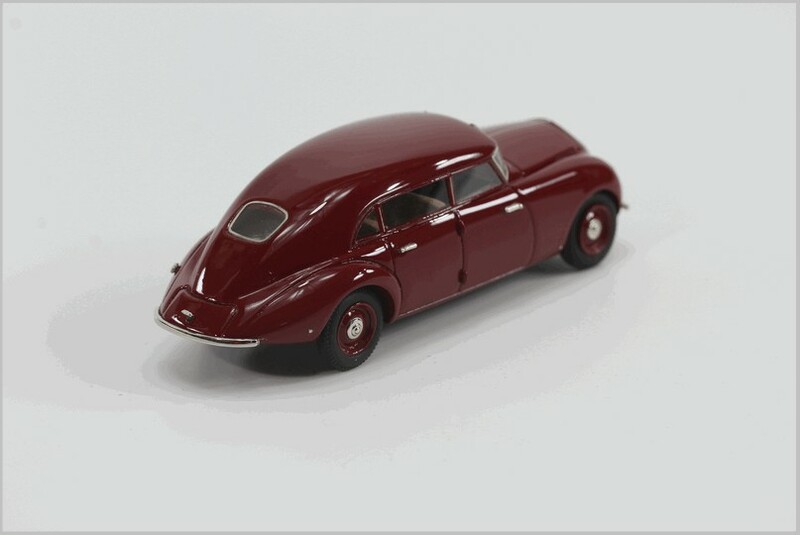 49 in the French collection) Borgward BO 4000 1952 – The origins of the company go back to 1905 with the foundation in the Bremen area of NAMAG, maker of the Lloyd car, and of Hansa Automobilgesellschaft, due to merge in 1914 to form the “Hansa-Lloyd-Werke A.G.”. 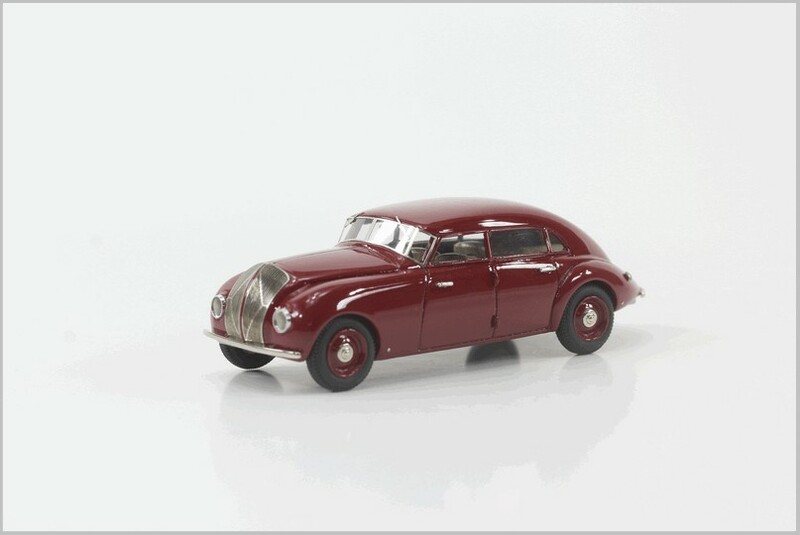 After the Great War the company soon faced bankruptcy, but Carl Borgward, already owner of the Goliath-Blitzkarren business, took control of it, greatly expanding the scope of his auto business and broadening the products range. 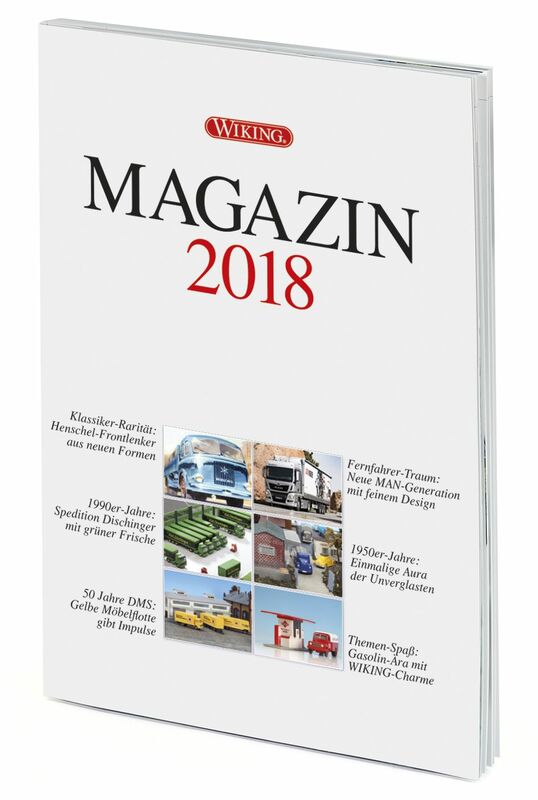 1939 saw the first use of the Borgward name as a brand, while the Second World War saw the production of many military trucks, half-tracks and munitions, but also lead to the destruction of Factories due to heavy Allied bombing. 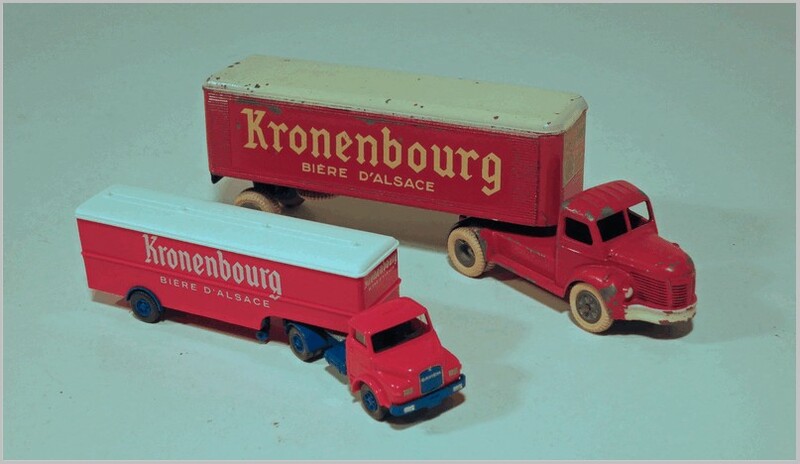 Notwithstanding the buildings destruction, the tools were almost untouched and it was possible to restart truck production before the end of 1945, and cars from 1949. Like many other buses in the aftermath of the Second World War the BO 4000, launched in 1951, was strictly derived from the B 4000 truck, in turn heir to the B 3000, produced in large numbers during the war. Powered by a straight-six five litre diesel engine with ‘turbulence’ combustion chambers, it was very efficient. 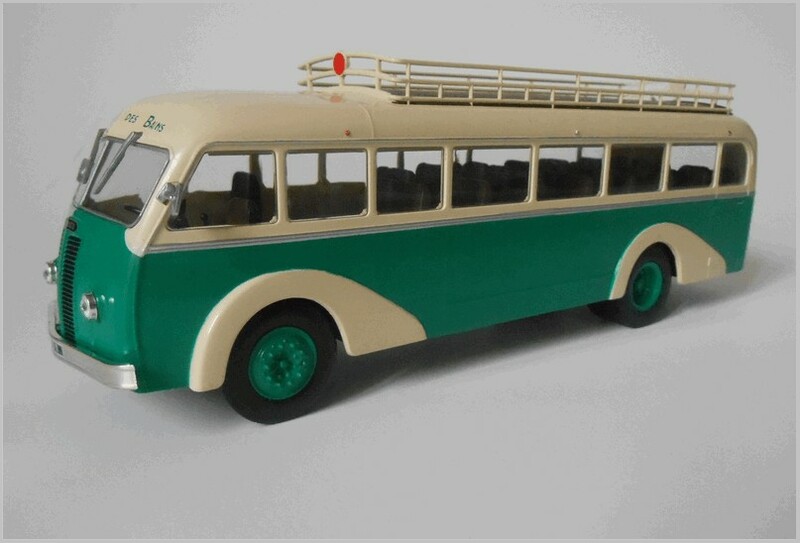 The bus was produced for three years only, and sold less than two hundred units, so it is a rare bus indeed. 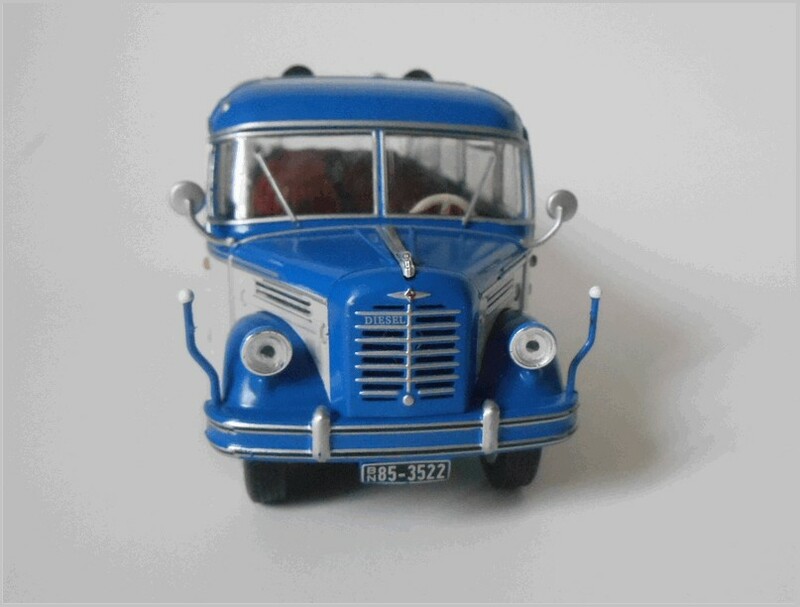 But it must be said that though Borgward produced in total only 631 buses it made more than 43,000 trucks. 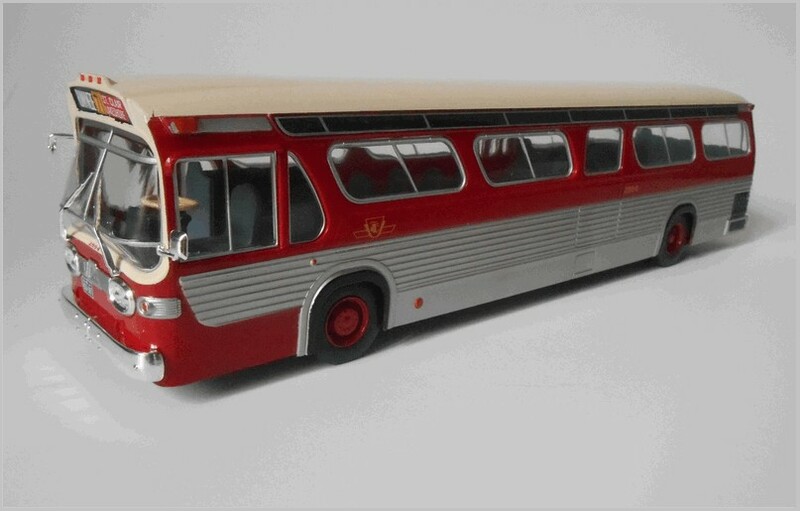 Borgward buses were very expensive and often created to order: clearly the company had difficulty in amortising production costs on such small production volumes, leading to troubles in competing in the marketplace and in assuring the needed cash-flow. This despite being a pioneer in air suspension and automatic transmission. 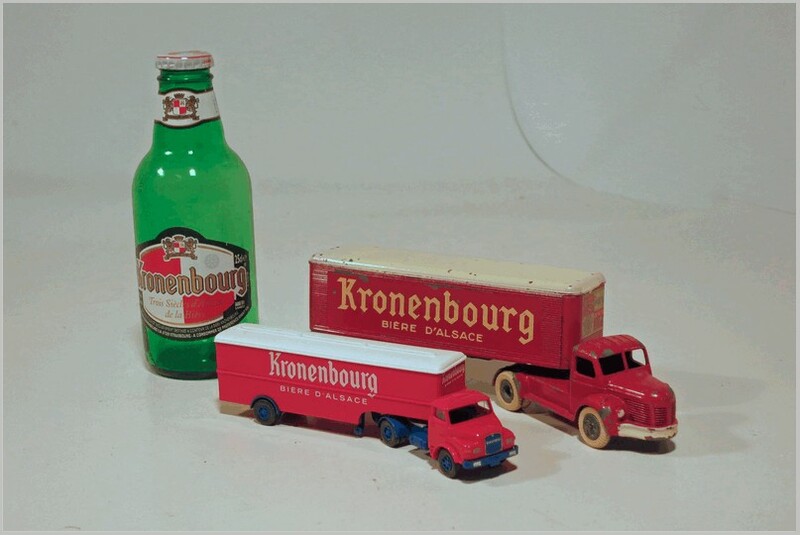 In 1961 the company was forced into liquidation by creditors, even if they were then paid in full. Many spoke of a conspiracy, but it is doubtful if Borgward trading beyond 1961 would be able to generate sufficient cash to repay existing debts and any new borrowing needed. 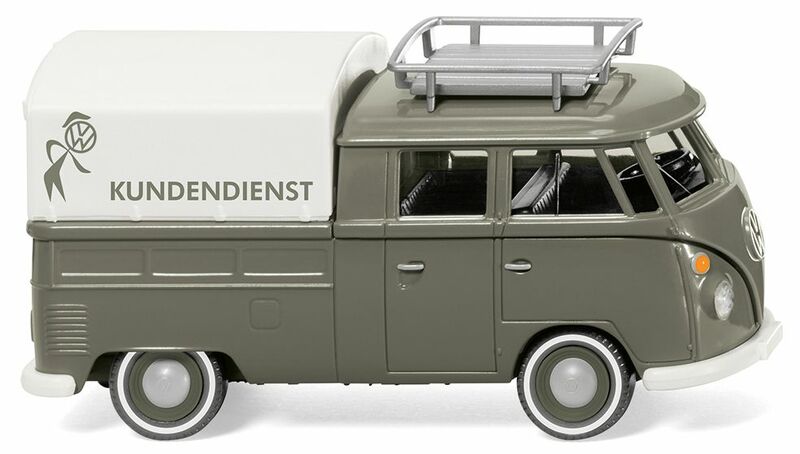 The scale model is an accurate reproduction of the only existing BO 4000, a preserved bus still in use on the Sylt isle, the fourth-largest German island in the North Sea, nowadays connected to the mainland by the Hindenburgdamm, an 11 km-long causeway joining from 1927 the North Frisian island to mainland Schleswig-Holstein, which is exclusively a railway corridor. 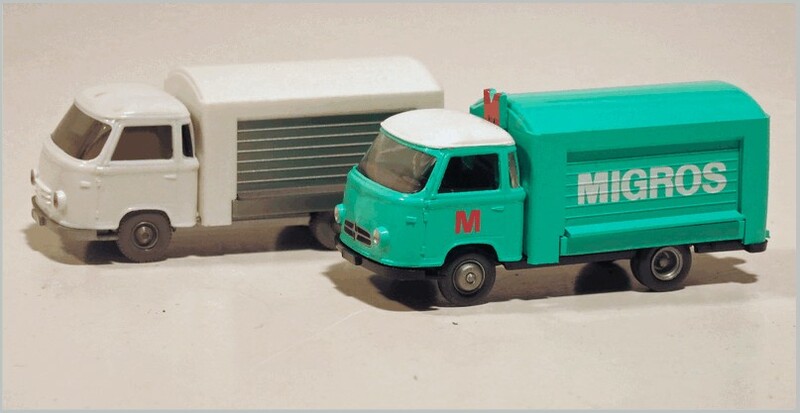 The model is shaped accurately and the blue and light grey livery with a black roof appears authentic and neatly printed. 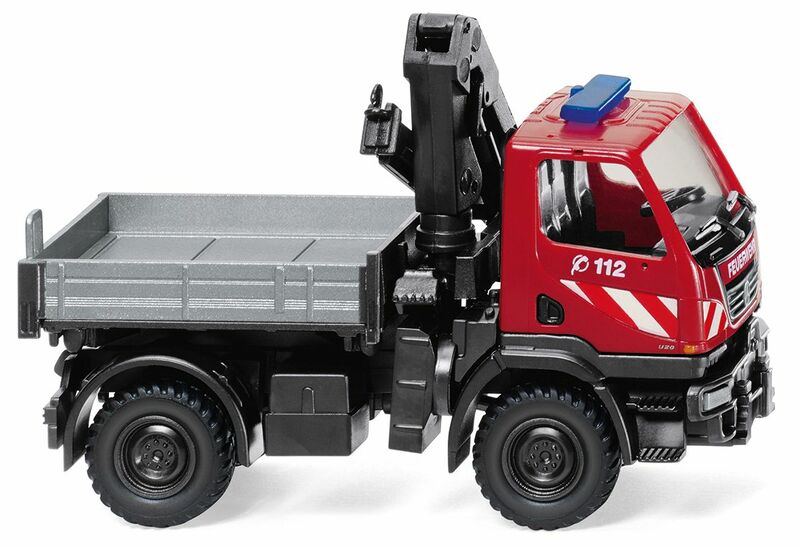 The body is plastic, as usual, with a metal baseplate which is well detailed and has an added silver exhaust. Due to the large side and roof windows, which are well executed, the interior appears full of light and is fitted with nice seats. 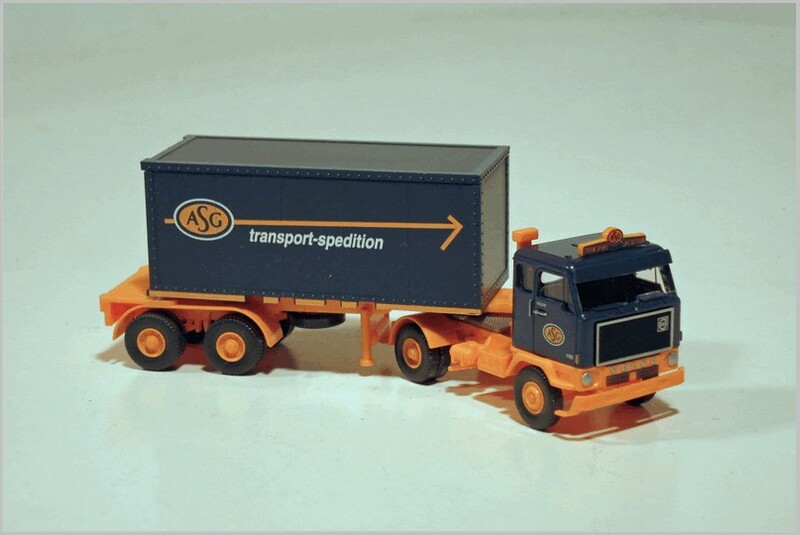 Many small plastic separate parts are used, like mirrors, lights and bumpers, plus width indicators at the front and a towing hitch at the rear. 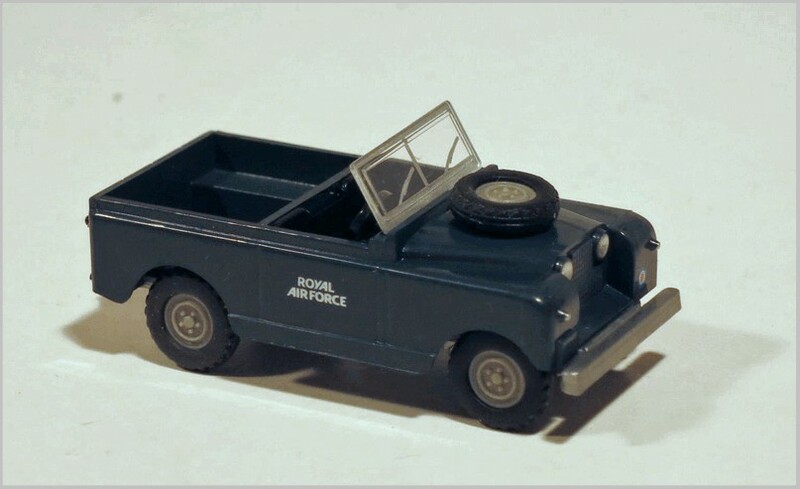 It is fitted with accurate British occupation zone registration plates. On the sides we see the logo of the Wander Falke (the peregrine falcon) and a very small plate, probably identifying the coachbuilder. Nice chromed hubcaps are fitted and the correct twin rear wheels. There are no apparent differences to the French edition. A good choice, a rare and likeable bus . 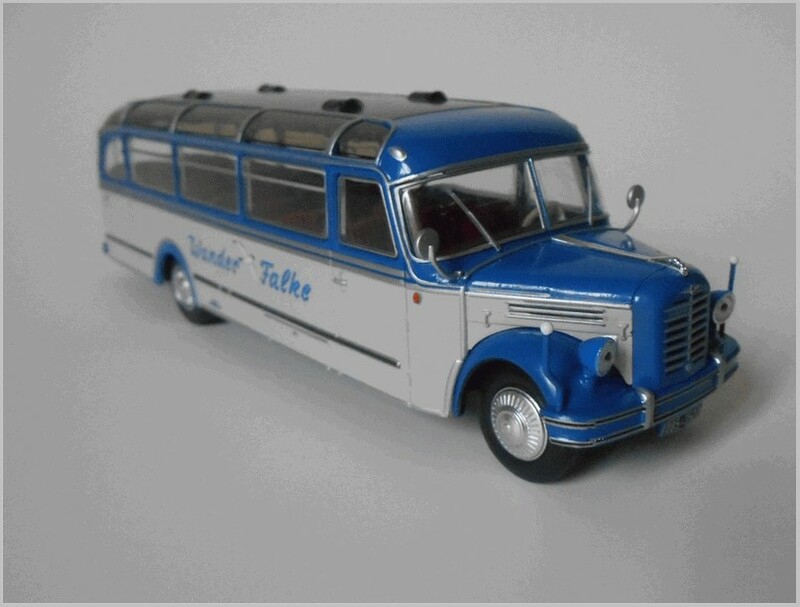 Thorsten Sabrautzky the owner of the Autopioneer model range has sent us details of his latest release. 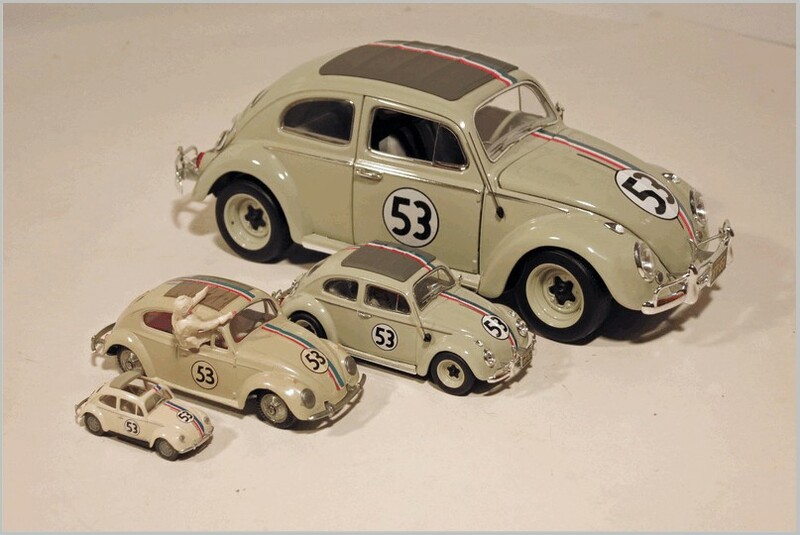 The model is made in resin to 1:43 scale in Europe and is limited to 50 pieces. A programme of six models is planned per year. 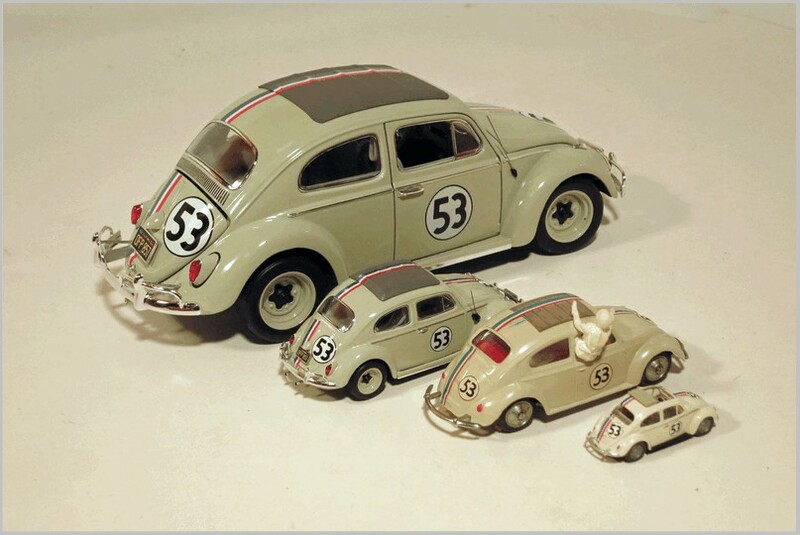 produced: the “Lloyd” small car, the “Hansa” mid-range cars and the “Goliath” delivery van, as well as high end cars under the Borgward name including land speed record and racing sports cars. 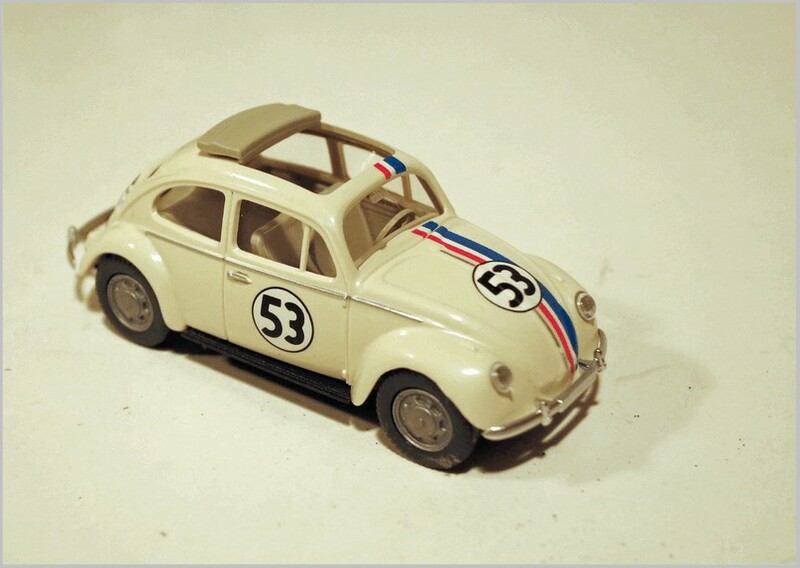 For most of their existence they were the fourth largest car producer in Germany. 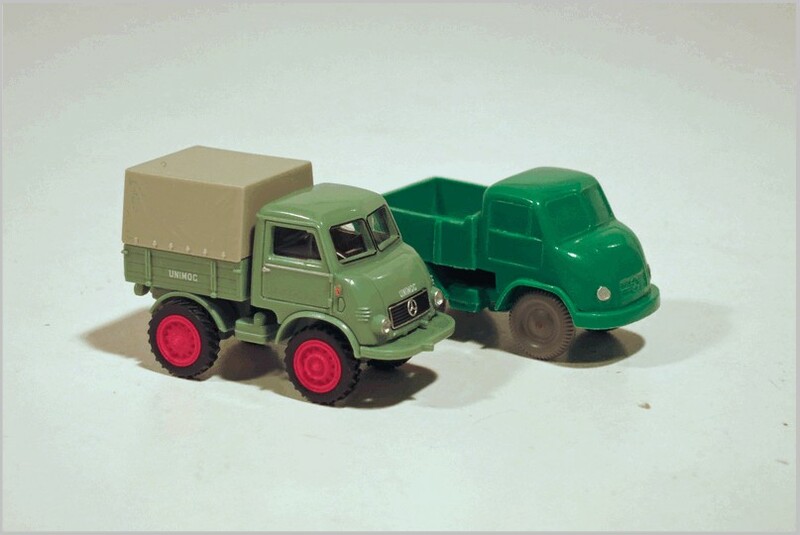 Borgward also made trucks and buses as well as tractors, tanks and helicopters. 1936 by Borgward’s chief designer Herbert Scarisbrick and their factory manager Friedich Kynast at the Bremen “Hastedter” plant. It first shown in 1937 at the German International Motor Show. With its streamlined bodywork and the patent four-piece windshield, the Borgward “Windspiel” attracted considerable attention. The “Windspiel” had a top speed of around 130 km/h. It was powered by a four cylinder petrol engine with rear wheel drive and an output of 40hp. 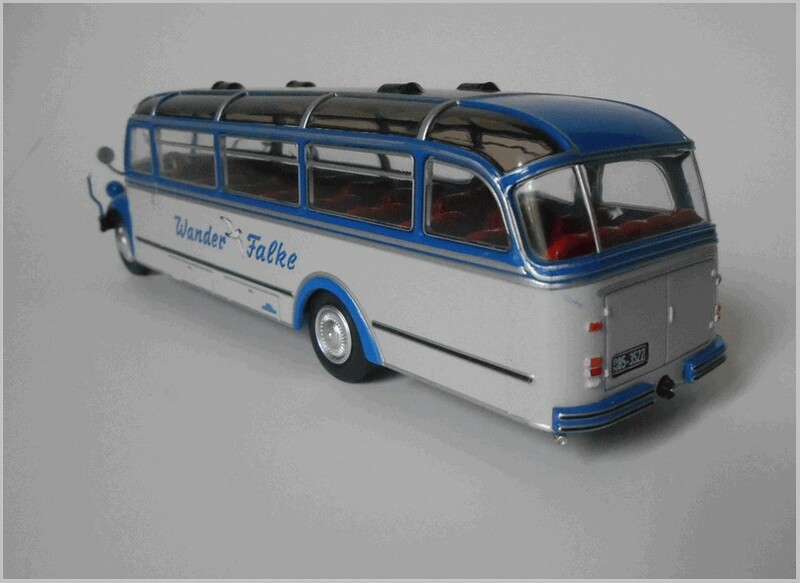 Streamliners were making an intellectual claim to be the future of design in Germany at this time as the new Autobahns allowed people to drive faster, for longer, imposing new demands upon cars which now needed to run at high speeds for hours on end. Aerodynamic experts Paul Jaray and Reinhard Koenig-Fachsenfeld were amongst those trying to persuade the market that streamlining was the way forward. Sadly Borgward did not put this car into production as the conservative market place preferred the older upright styles so popular in the 1930s, an attempt to re-use the engineering for a car under the Hansa badge failed too. 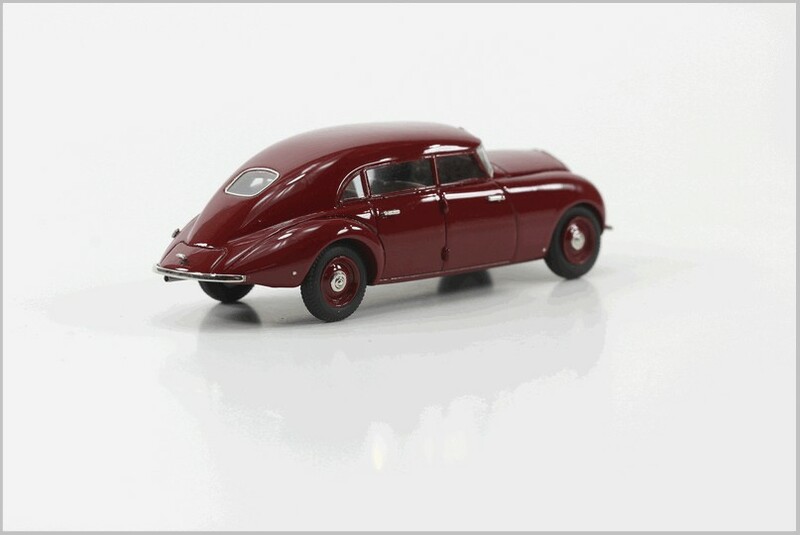 Ahead of its time, elements of this design finally made their way into the 1938 Hansa 2000 and it was influential on the shapes of the post war Borgward and Hansa cars by which time the public had started to catch up with the desirability of streamlining. 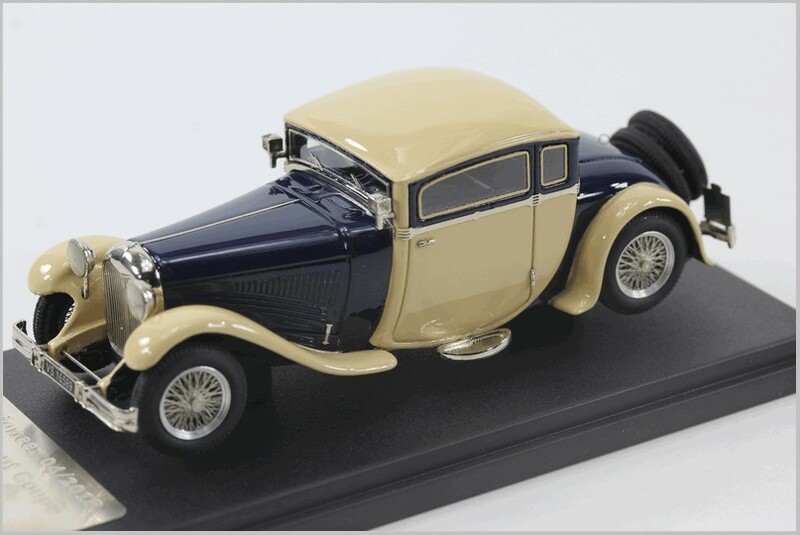 Thorsten tells us the next model car to be released will be the Opel Regent of 1928, officially the Opel 24/110. No trace of this car exists today as after GM took over a majority of the shares in Opel they realised that this eight cylinder model from Opel was a huge sales threat to the Cadillacs and Buicks that they hoped to sell in Germany. They stopped production of this car and bought back and destroyed every car already sold to clear the market for their US built models which ironically failed to sell in significant quantities as the economic crisis hit Germany in the early 1930s which was to be followed by nationalistic buying habits encouraged by the Nazi Party. 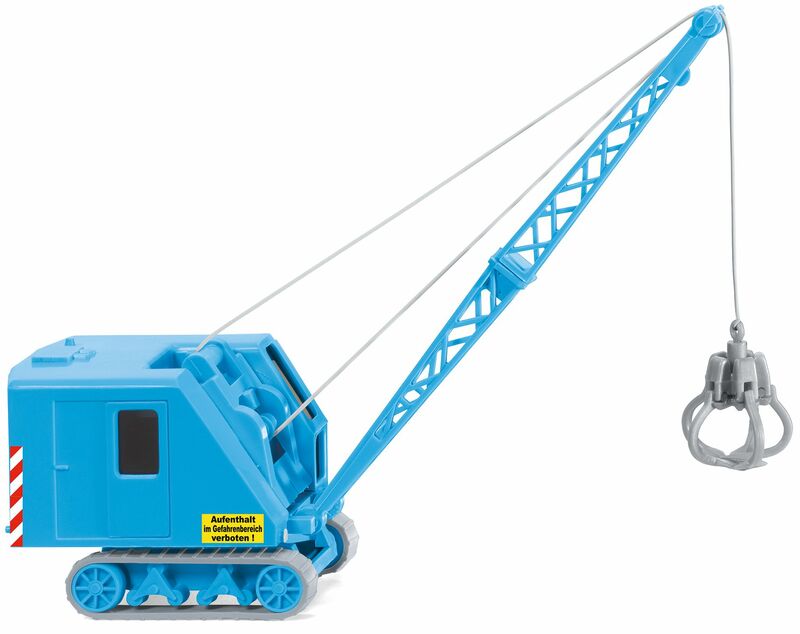 The photograph above shows a pre-production test model.